PlanItGreen grew out of the Oak Park River Forest Community Foundation’s Communityworks initiative, designed to enhance the vibrancy and quality of life of Oak Park and River Forest. PlanItGreen is a collaboration between the OPRF Community Foundation, Seven Generations Ahead, and multiple institutions, and is guided by the OPRF Community Foundation’s Communityworks Advisory Board and the PlanItGreen Core Team. Through PlanItGreen, Seven Generations Ahead is directing the ongoing implementation of the Environmental Sustainability Plan for Oak Park and River Forest. 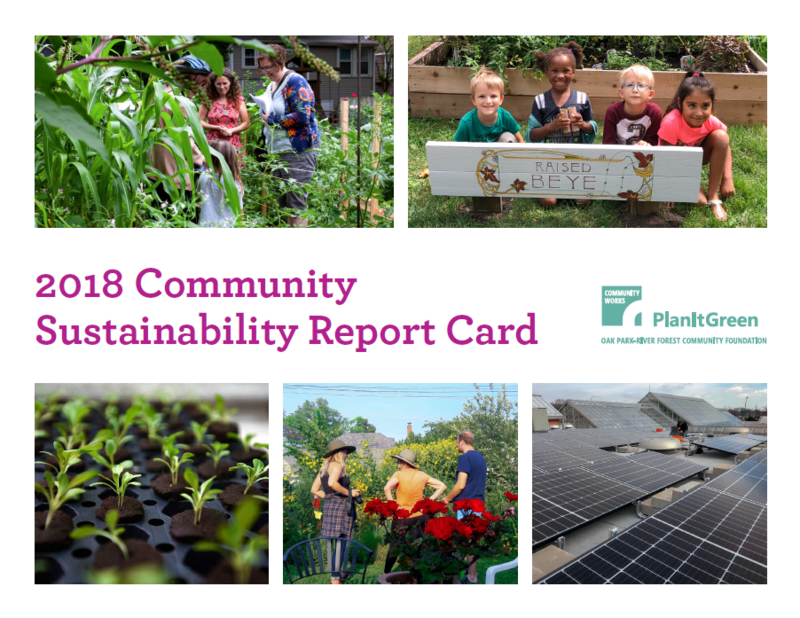 The Plan – completed in 2011 through a 10-month community engagement process – continues to be implemented and a metrics-based Community Sustainability Report Card is regularly produced to evaluate progress and areas for focus. 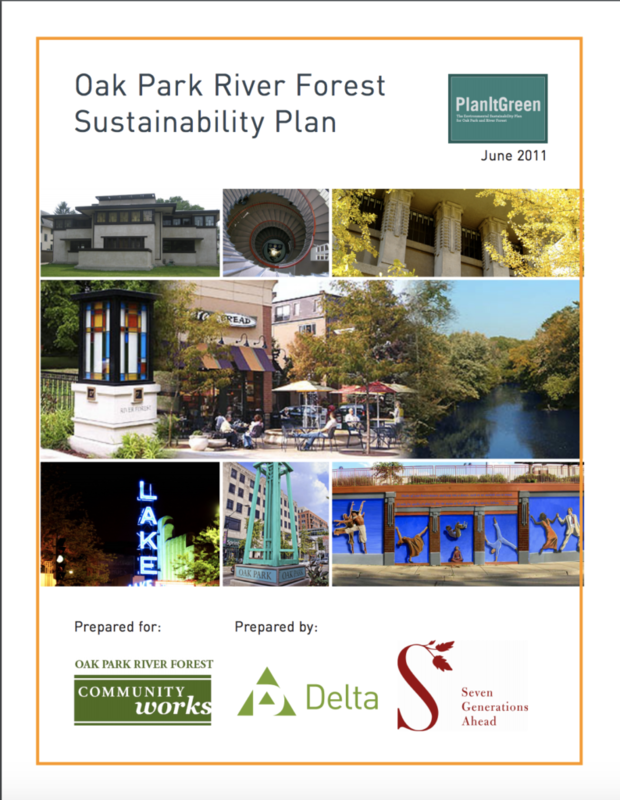 The PlanItGreen Sustainability Plan reduces the environmental footprint and advances common sustainabil­ity objectives of Oak Park and River Forest through 2020. Phase 1 of PlanItGreen began in August, 2010 with the aggregation of baseline metrics on community resource use conducted by the Center for Neighborhood Technology. Phase 2, led by SGA in collaboration with the Delta Institute, included a multi-faceted commu­nity engagement process resulting in the development of a final plan with goals, targets, and strategies in nine sustainability topic areas.